You may not know what a bias light is. 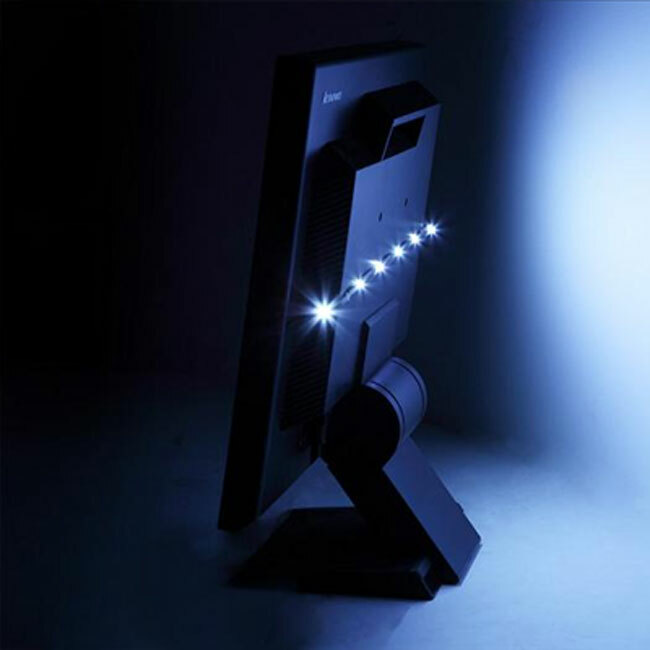 It’s a light that you put behind your monitor so you aren’t staring at a bright screen in totally dark room. Apparently, some high-end animation studios use them and they are supposed to help reduce eye fatigue too. I have seen bias lights before that are really expensive. Antech has a new bias light that is dirt-cheap and uses LED lights. The thing sells for $12.95 and it has six LEDs on the back that throw a nice white glow behind your screen. The light will fit behind a screen of up to 24-inches and is powered by a USB port and has an integrate hub apparently. The light measures 5.9″ x .5″ x 0.6″ and it is shipping right now. This is the perfect thing for working without direct light in your eyes, but with enough light to find your pen if you need it in your dark office.